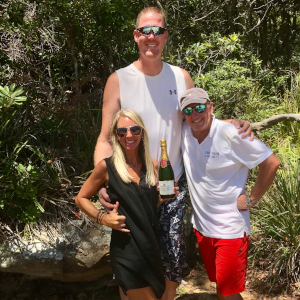 Ex NBA pro basketballer, Shawn Bradley (7’6″) and his gorgeous wife Annette enjoyed a seafood picnic with on Store beach. 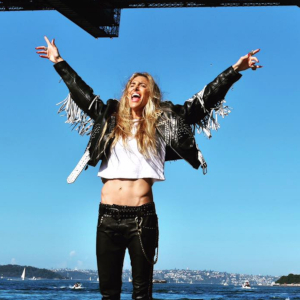 American indie funk-rock lead singer, Miss Velvet jamming under the harbor bridge, while touring Sydney and performing at the Enmore & Bluesfest. 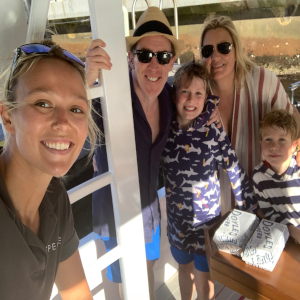 British actor, presenter, funny man and MBE Rob Brydon and family enjoyed an afternoon of swimming, cruising & fish n’ chips aboard Spectre. 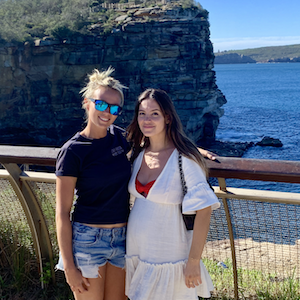 Our dear friend Sarah Kohan, international instagrammer, impending mother and wife of Mexico’s football hero, Javier Hernández, joined our Icons, Bays & Beaches tour and took a stroll to The Gap. 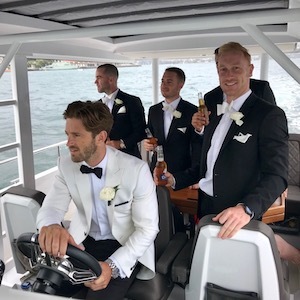 We love a man in a white tux… Callum Ward, skipper and legend at AFL’s Greater Western Sydney, was honorary skipper on Spectre for his big day. Congrats Cal! 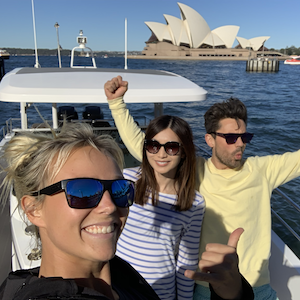 Rockin’ with some fun British actors on Spectre: Mamma Mia‘s Dominic Cooper and Crazy Rich Asians‘s Gemma Chan.